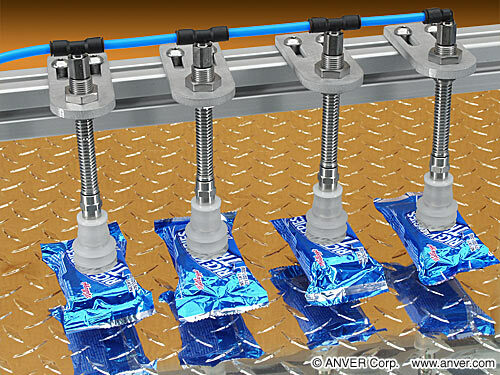 ANVER vacuum suction cups can be mounted to most vacuum systems using spring-loaded suspension assemblies. 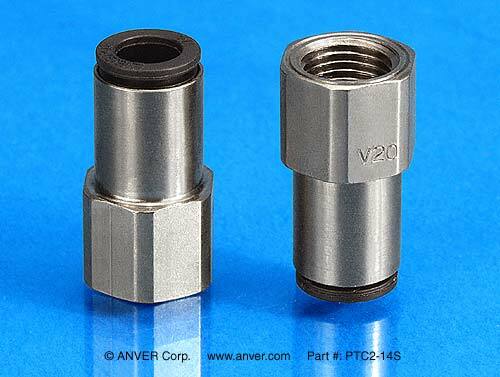 These are high-quality, well-finished assemblies designed for high-speed automation applications. 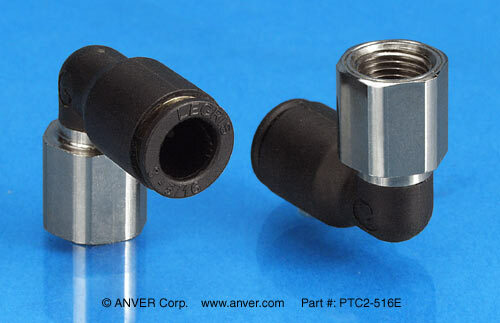 The suspension assemblies have adjustable bulkhead fittings that mount to almost any lifting frame, and a variety of tube fittings are available to connect the spring-loaded assembly with the vacuum generating system. 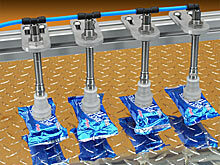 These unique mounting systems act as extensions while providing support when handling loads. 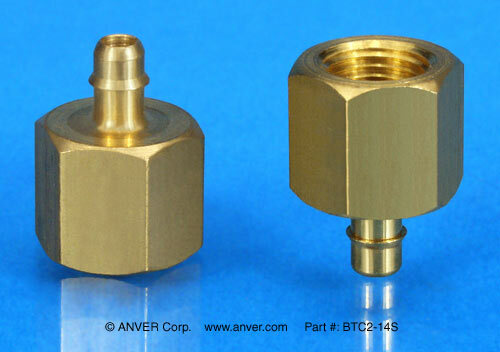 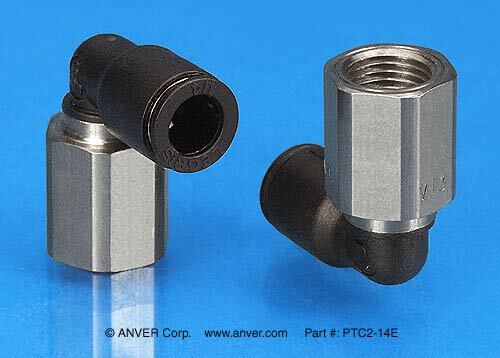 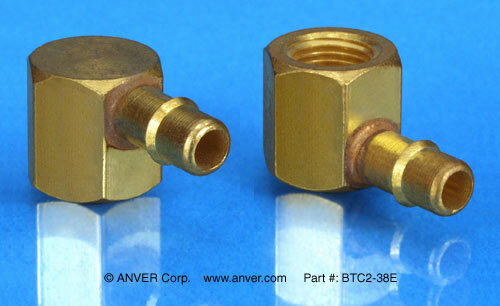 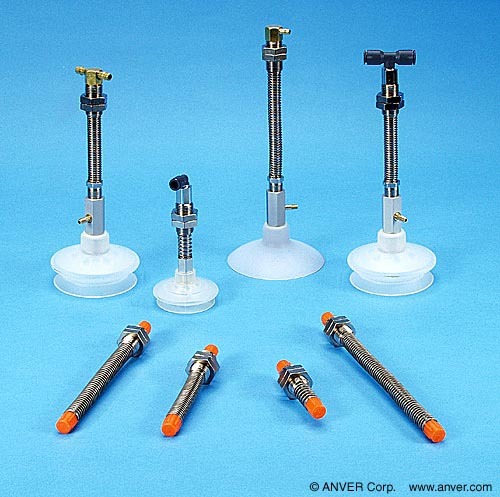 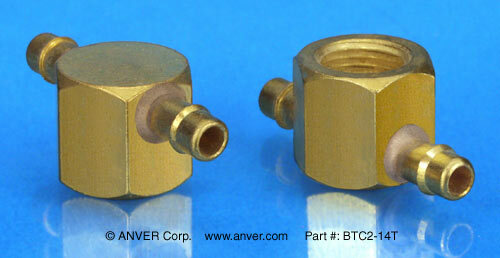 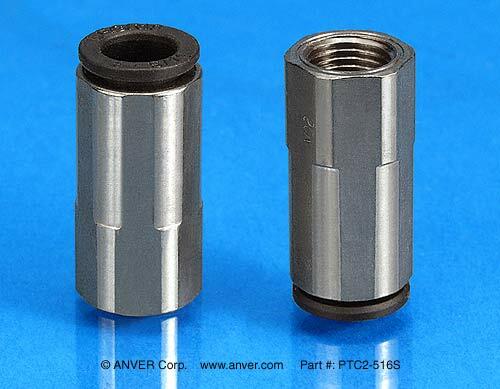 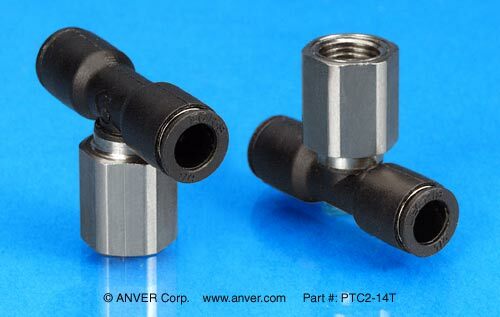 ANVER’s SLSA-2 Series connects to a vacuum system via G 1/8″ NPS (fits into 1/8″ NPT) male thread. 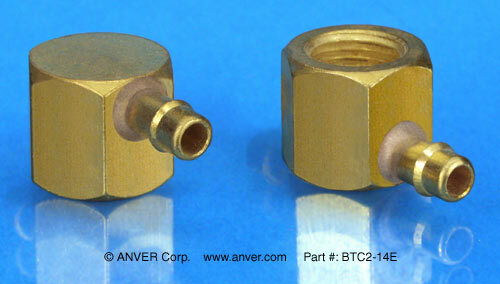 For 5 mm, 10-32 UNF threads, use the SLSA-1 Series. 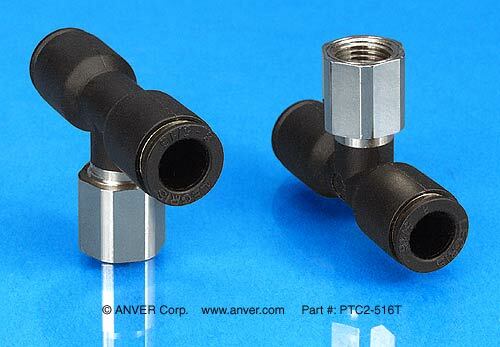 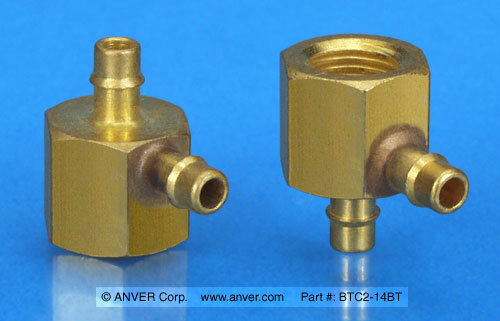 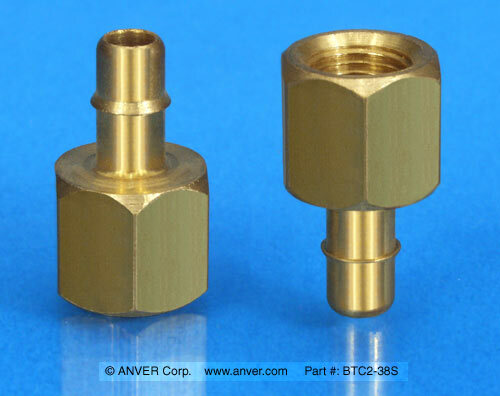 ANVER can adapt these vacuum cup suspensions to your particular needs with tube fittings, mini vacuum generators, sensing valves, and custom adapters. 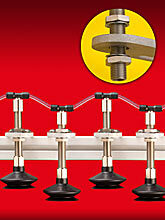 Please contact our technical sales department for assistance. 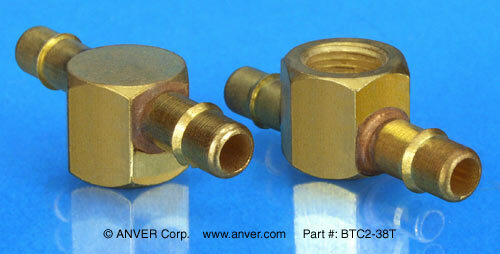 Tube fittings are purchased separately to connect the spring loaded suspension assembly to the vacuum hose. 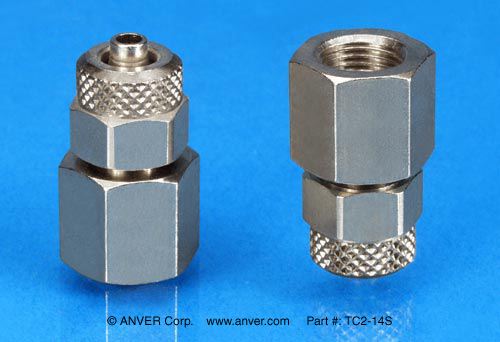 They are available in barbed, push-in, and compression connections, with straight, elbow, and tee configurations. 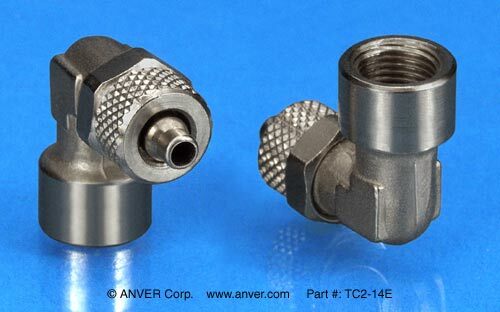 These fittings accept tubes with standard inside and outside diameters.